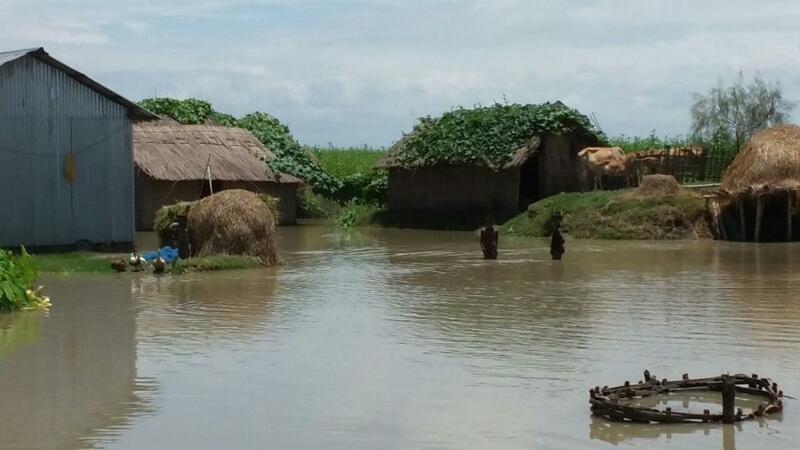 Over 30,000 people in Assam have been affected by floods, recent media reports claim. River Brahmaputra and its tributaries are flowing above danger level and water has caused destruction in Barpeta and Lakhimpur districts. Parts of Manas National Park, which has been declared a World Heritage Site by UNESCO, have also been submerged by the flood water. Water and soil erosion have damaged 24 houses and submerged around 1,000 hectares of cropland. Unannounced release of water from a Bhutanese dam is being blamed for the flash flooding. Authorities have said that there was no prior warning from Bhutan. Kurichu dam that allegedly released water, is a 60 MW hydropower project, situated upstream the River Kurichu, a principal tributary of the Manas in eastern Bhutan. An official with Druk Green Power Corporation, the company that operates Kurichu dam, however, denied the allegations. “There is no question of releasing water, much less warning India about such release,” he was quoted as saying by thirdpole.net. Civil society has, previously, opposed construction on hydropower projects in Bhutan. Beki Noi Niyantran Aru Baan Sahajya Samiti, a non-profit based in Assam, believes that dams have adverse impact on the lives and livelihood of the people living in downstream areas in Assam. The organisation was formed after 2004 floods in lower Assam due the water released from the reservoir of Kurichu hydropower project. In 2004, the artificial landslide-dammed Tsatichu lake burst causing water from the reservoir to flow into Manas and Beki rivers. Gates of the Kurichu dam were opened in an attempt to avoid major destruction to the dam. But the sudden flow of water resulted in floods downstream, in Barpeta and Nalbari districts of Assam. As per a paper published on India Water Portal, “There is an urgent need to study and properly evaluate the persistent threat of flooding and erosion in the Beki river, and explore possible mitigation strategies” It adds that vulnerable zones of flood hazard and erosion will need to be identified in order to ascertain the need for immediate short term interventions, while also seeking long term permanent solutions to the problem.